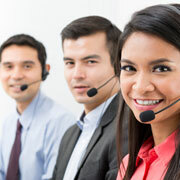 Outsourcing BPO to Philippines - Is it a Good Idea? Outsourcing began over 3 decades ago with companies of all sizes benefiting from this. Although India dominates outsourcing industry, there are other countries, which have emerged as alternative BPO outsourcing destinations after India. Philippines are one among these nations and even after entering a little late into the outsourcing business, this is one of the fastest growing outsourcing communities in the world. IT-BPO business of Philippines is expected to reach $55 billion by 2020. Being a world leader in providing call center services, Philippines employs 1.5 million workers to cater to global outsourcing needs. This Southeast Asian country with a population of 100 million has emerged as one of the best outsourcing destinations in the world. All these factors make it important for companies to weigh the outsourcing benefits offered by BPO companies in Philippines before choosing the right outsourcing partner. This is one of the most important reasons for companies to choose Philippines as an outsourcing destination. The availability of skilled and cost-effective labor providing the best-quality services has made this possible. Companies can get high-quality services at highly affordable rates by outsourcing to Philippines. Philippines boast of having a very high literacy rate of about 97%, which is higher than most other industrialized and modern countries. There are almost half a million-people graduating from the universities every year. Philippines have a large pool of freshly graduated and highly efficient workforce, which attracts global businesses for outsourcing. The average age of Filipinos is 23 years, which represents a generation grown up with technology. This population has easy access to BPO training opportunities through independent programs and educational institutes. The BPO industry is one the best career options for this crowd that helps them learn, grow, and remain updated with the industry needs. Most of the Filipinos speak English and are also very fluent and proficient in reading and writing English. With strong English proficiency, Filipinos provide exceptional support through any channel of communication. This is the main reason why call center and voice-based services have boomed in this part of the world. The culture followed by the Filipinos is modern and similar to the Western culture. The American colonization effects can still be seen in Philippines. This helps Filipinos to understand the Western customers better and communicate well and provide them with competent services. The location of Philippines gives companies the advantage of the time zone. By outsourcing BPO to Philippines, companies can get the advantage of keeping their business operations running round the clock. This ensures increased productivity and helps in generating greater revenues. The Philippines government plays a major role by providing aggressive government initiatives that strengthen Philippines as value-adding destination for global investors. From several favorable policies to cost-effective alternatives, the government supports every step needed to make the BPO industry grow efficiently. Investment in IT processes, technologies, and infrastructure has been significantly increased by the government. Is It a Good Idea to Outsource BPO to Philippines? An exponential growth in outsourcing industry will result in millions of jobs to the youth, improve the standard of living, and have a positive impact on the economy of the entire nation. Outsource2india has been providing a wide range of quality services to global clients for over 20 years and is one of the leading BPO firms. We have a vast multi-domain industry experience of providing quality services, such as call support, data entry services, etc. to global clients from different cultures and backgrounds. Having global delivery network across the world including Philippines and India, we will help you to successfully set up your business in Philippines with our hassle-free transition plans. Besides, we also have stringent data security policies in place and have world-class infrastructure. If you are planning to outsource to Philippines, then feel free to get in touch with us now! The rise of BPO in Philippines is phenomenal, as the number of calls being handled about 20 years ago were nil! Let's have a look at 6 most popular services being outsourced, and the factors that concern outsourcing firms when they decide to pick India or Philippines. 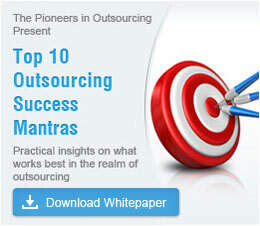 In a recent survey, 80% of European and US outsourcing firms ranked India as their number one outsourcing destination.